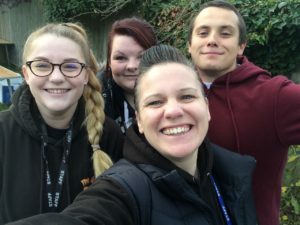 The Door, has recently received a £3,000 grant from the Zurich Community Trust to continue to provide fun, support and opportunities for young people in and around the town. The grant, awarded by the Cheltenham based business, forms part of Zurich’s mission to help improve the lives of disadvantaged people. A panel of employees oversee the grant process, and were delighted to be able to support the work of The Door. Always a hive of activity, The Door’s youth centre is a warm, safe environment giving all young people a place to feel welcome and belong -­ building their social skills and increasing confidence and self ­esteem.